KenZiner's debut release "Timescape" explodes with it's unique epic symphonic power metal. A elegant mixture of intricate compositions, soaring vocals and amazing guitar playing. Produced by legendary guitarist/producer David T. Chastain at 3 different studios in the United States, this release should become one of the top debut releases in 1998. The musical and lyrical journey encompassed in this release will take the listener to what seems like many places and lifetimes all fueled by the astonishing power of the music of KenZiner. 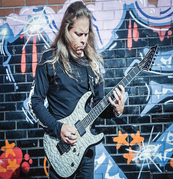 KenZiner features 24 year old guitarist Jarno Keskinen from Finland and vocalist extraordinare Stephen Fredrick from Atlanta. 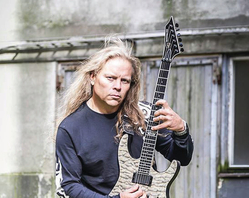 Jarno composed all of the music, played all of the electric and acoustic guitars, bass and keyboards on the group's debut recording Timescape. 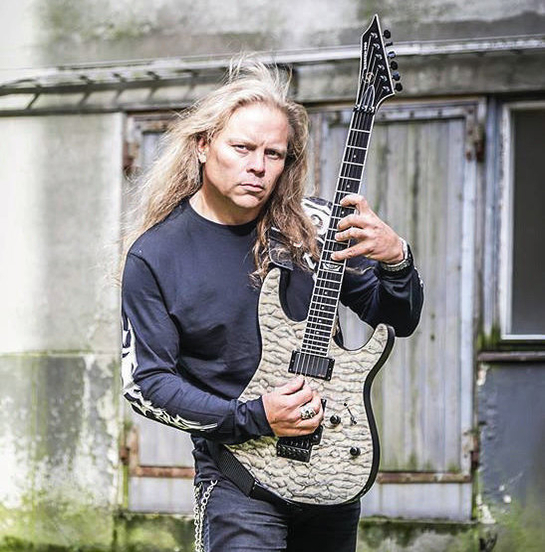 Jarno first picked up the electric guitar at 11 and was immediately impressed with some of the popular heavy metal bands of the times such as Iron Maiden and Wasp. Later at around 16 as Jarno improved his abilities he became enthralled with classical greats such as Bach, Vivaldi, Paganini and Corelli. At this point Jarno became heavily involved with classical violin sequences, arpeggios, minor diminished chromatic runs and practiced heavily each and every day. Joining Jarno on this recording are 2 musical greats in their own right. Dennis Lesh (Trouble, Chastain, Stygian) handled the extremely complicated drumming. 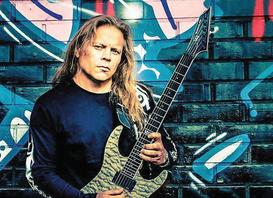 Dennis's experience helped add maturity to the intensity and reworked some of the original parts to make the release sound more heavy and less busy. On vocals is the very talented Stephen Fredrick. Stephen has been involved with many well known acts in the past such as MCA recording artist Billy The Kid, producer/guitarist Brendan O'Brien, Atomic Shelter/Bruno Langer and David T. Chastain. Stephen comes from influences with more emotional content as opposed to just screamers. David says, 'We auditioned singers from all over the world for this project but Stephen's emotional delivery fit the music absolutely perfect.' 'Originally this record was planned to showcase Jarno, but halfway through the recording it was obvious to everyone that the vocals were equal in brilliance.' Stephen can also play a little guitar so he understands the talents of Jarno and therefore there is a mutual admiration amongst all players. While the music itself runs the full gamut from massive musical chops to subtle acoustical brilliance, the lyrical content centers on the journeys of soul mates throughout time. A deep and sorrowful journey where they try and try again to return to a time where all was perfect, the Land of Shadows. All 11 tracks on this recording are absolutely astounding. On most cds there are usually a weak track or two. Not in the case of Timescape. Each track provides great songwriting, musical excellence and Stephen's extraordinary vocals. 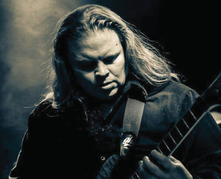 KenZiner and Jarno Keskinen have created a masterpiece in Timescape that should withstand the hands of time to become one of the true classics in heavy music. "The Prophecies" is available worldwide! David T. Chastain once again produced the recording. Vocalist Stephen Fredrick proves he is one of top vocalists in Metal with this Cd. A masterpiece for the new ages! !